Have everything measured and ready. Heat oils in large nonstick skillet or wok over medium-high heat. When very hot add ginger, garlic and onion (and red pepper flakes if using). 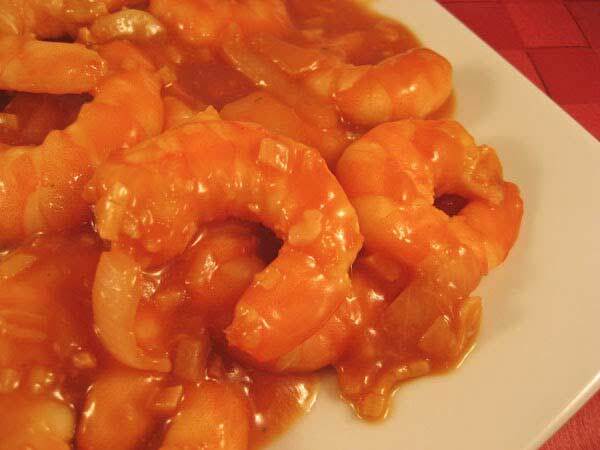 Add shrimp and stir-fry for 1 – 2 minutes longer, until shrimp turn opaque and start to curl. Add sherry, ketchup and soy sauce. Sauce will quickly thicken and coat shrimp. Remove and serve immediately, according to Yummy.com.ph.